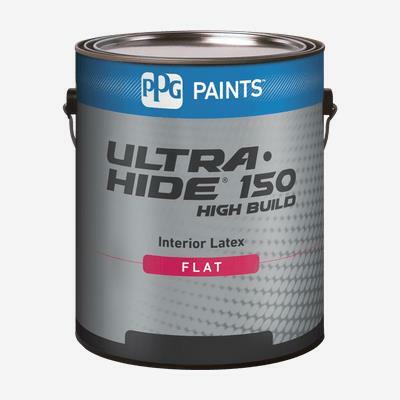 ULTRA-HIDE® 150 High Build Interior Latex is designed for new construction, commercial and residential repaint. Ideal for hiding minor surface imperfections, this finish is best for lower-traffic areas such as bedrooms, living rooms and family rooms. Use on properly prepared interior walls, ceilings, drywall, plaster, masonry, primed metal and wood.